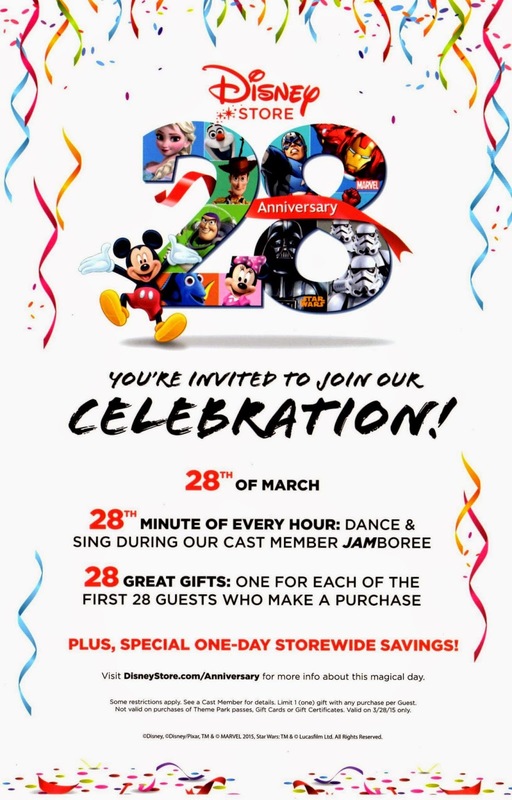 The Shops at Montebello Disney Store location will be open from 10am-9pm on Saturday, March 28. Fine print: "Some restrictions apply. See a Cast member for details. Limit 1 (one) gift with any purchase per Guest. Not valid on purchases of Theme Park passes, Gift Cards, or Gift Certificates. Valid on 3/28/15 only."